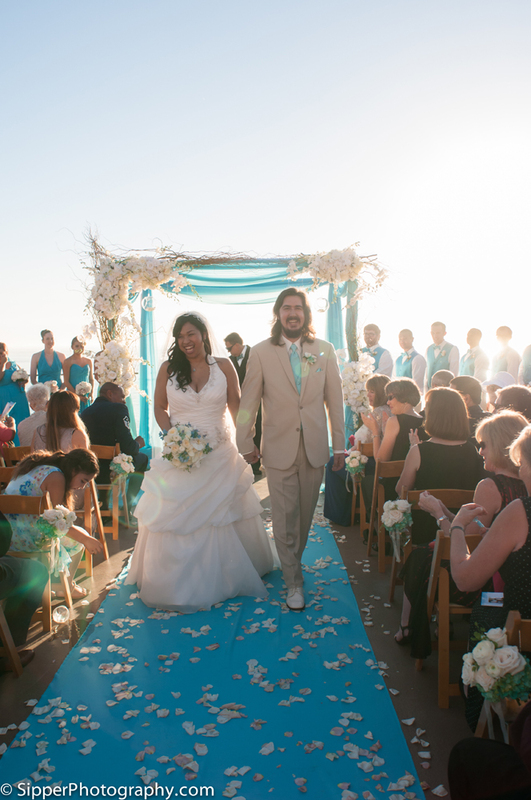 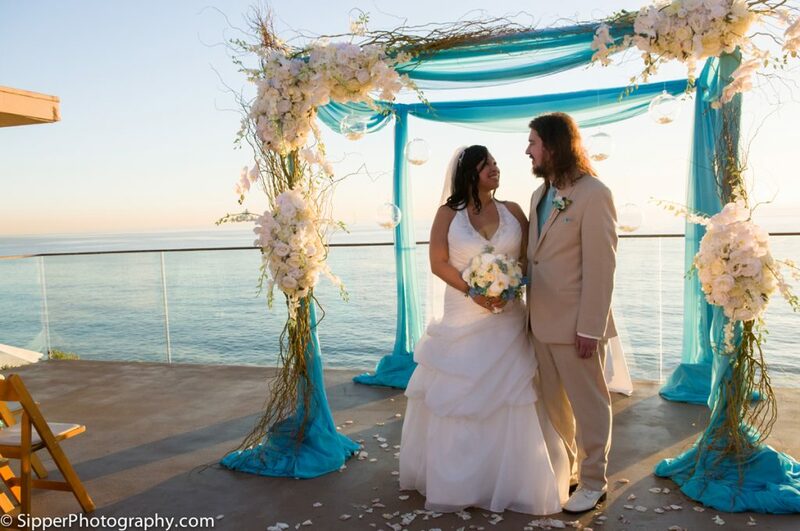 We produced a tropical, beach themed wedding for this fun and fabulous couple. 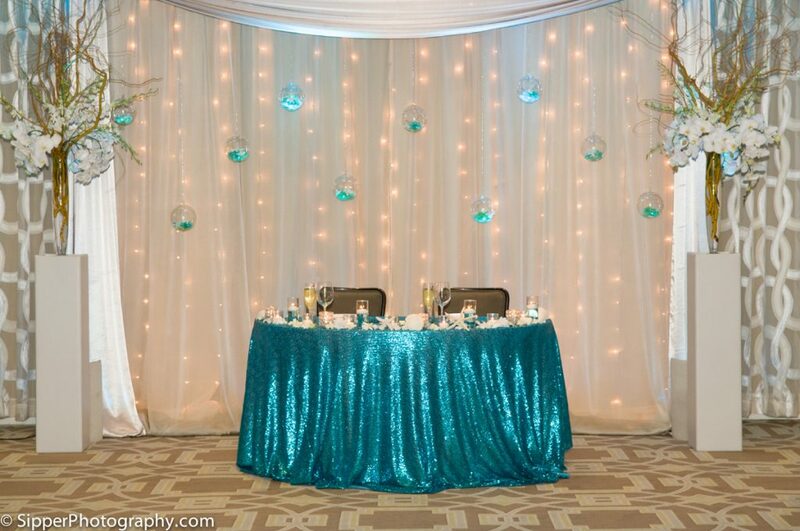 They were looking to create a wedding with a tropical, laid back feeling with just a small touch of glitz. 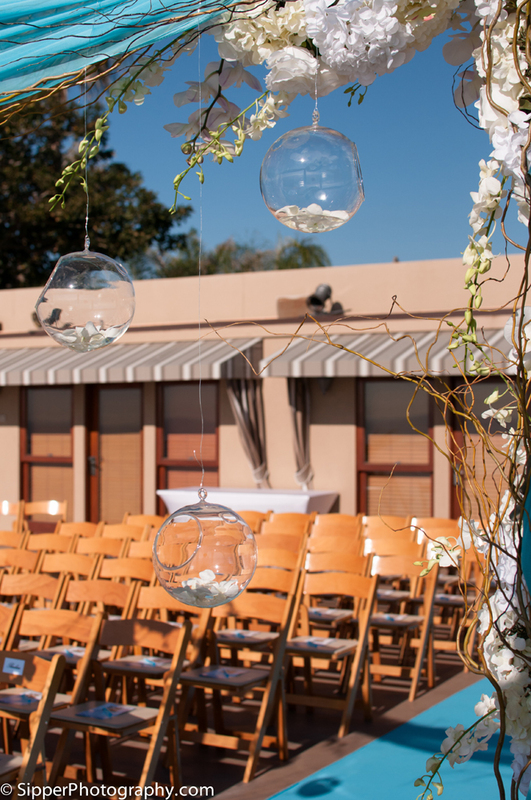 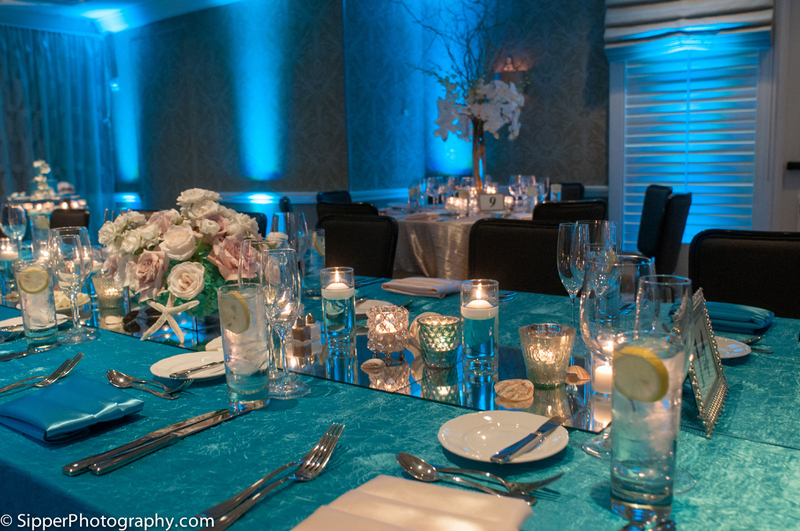 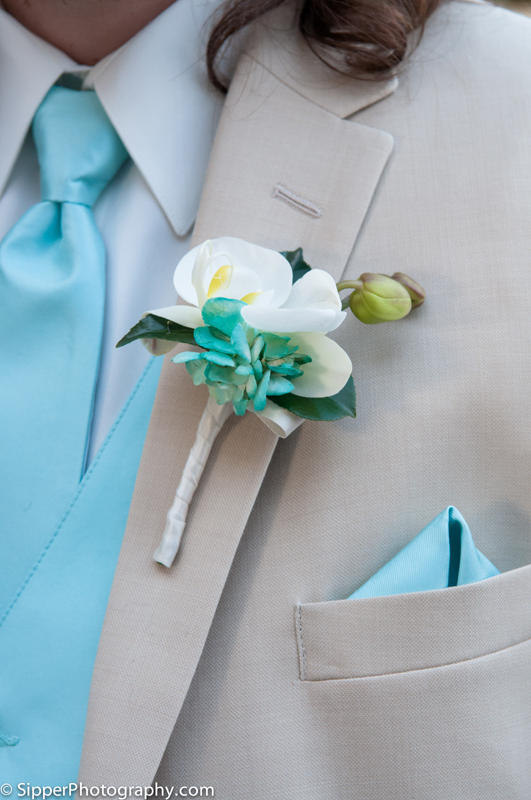 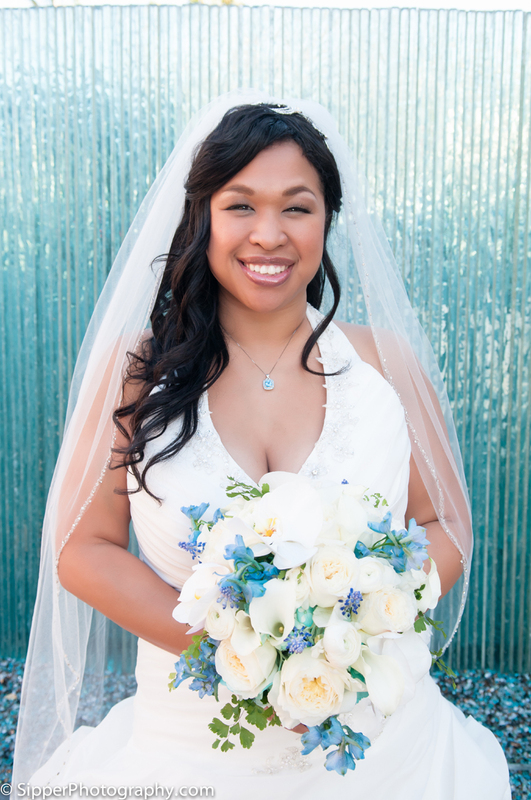 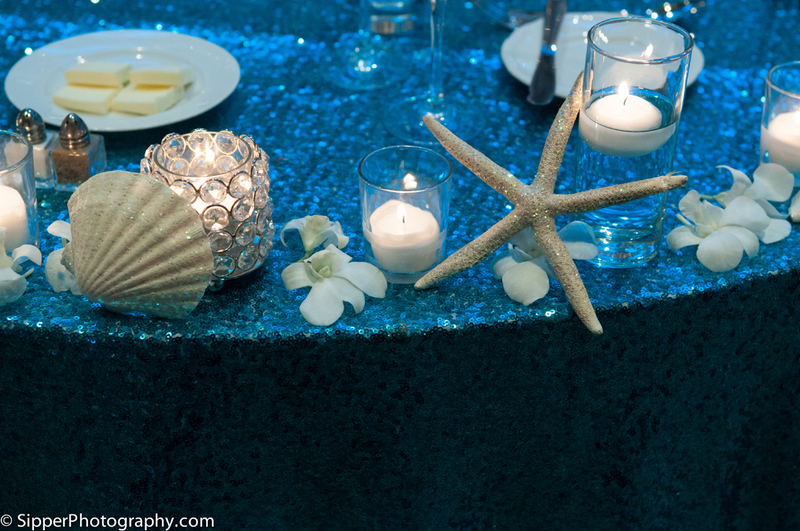 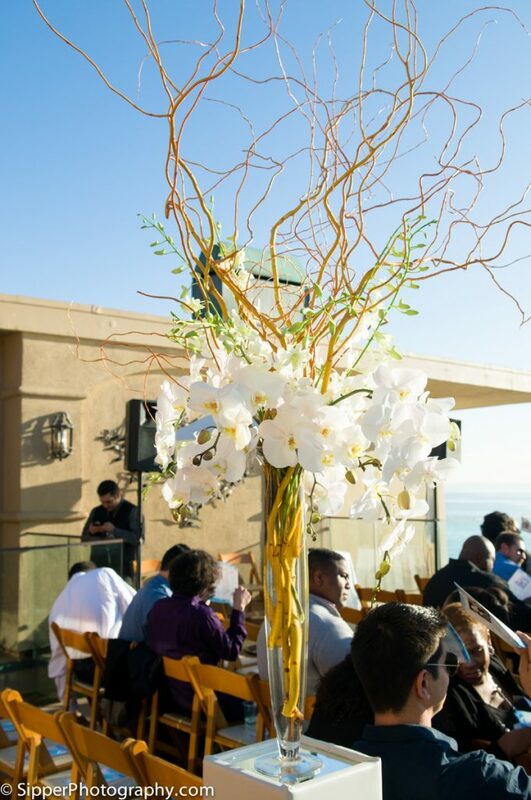 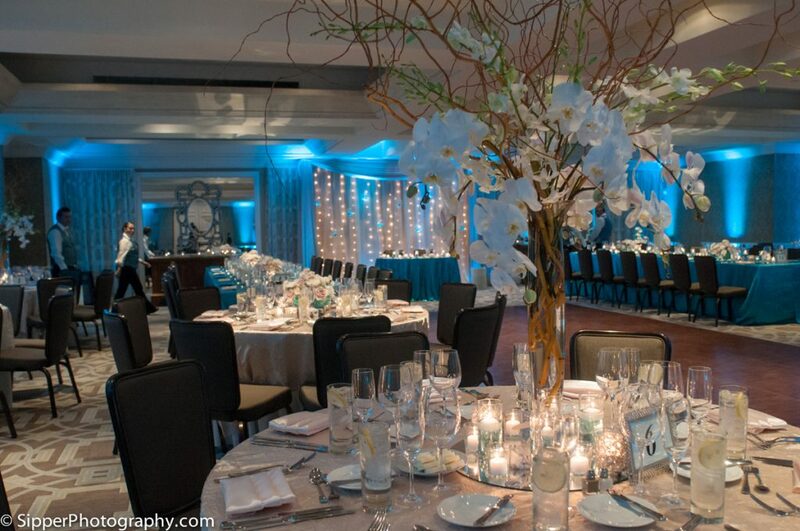 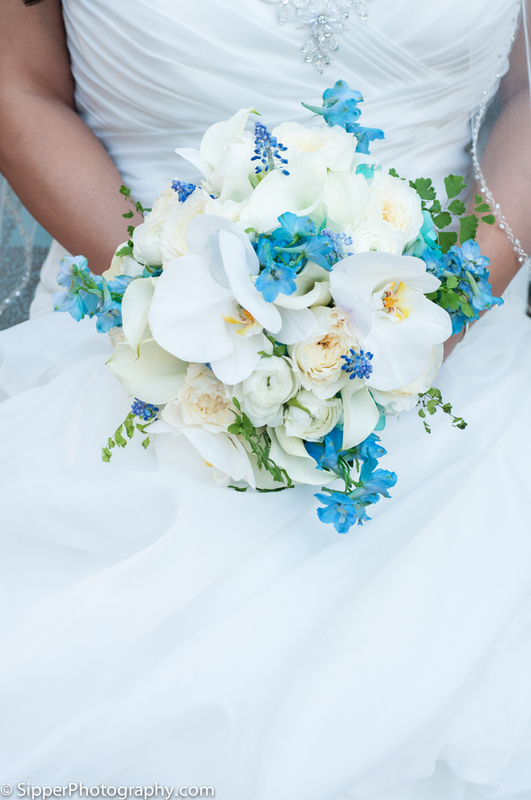 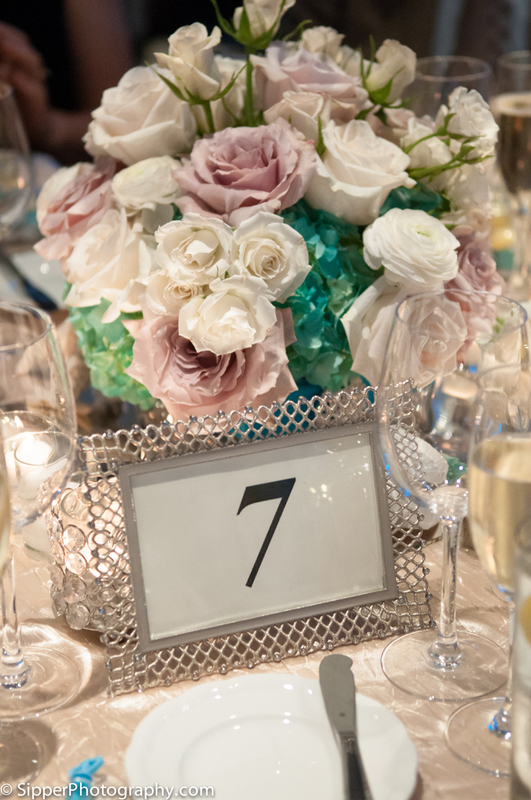 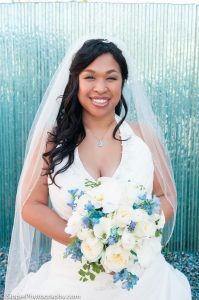 Orchids were a must to give the event a tropical feel, turquoise blue and sandy beige colors were used to coordinate the beach atmosphere, and sparkling sea shells, a bit of crystal and sequins gave the event the touch of sparkle the couple wanted.